Let’s Get More Googleyness in Schools! I read an interesting blog post on Google’s blog this weekend about interns who were sharing about their internship experience at Google this summer. First, I had never heard of “Googleyness” before, so I, ahem, Googled it. I don’t believe there is a company in America who wouldn’t want their employees to have most if not all of these traits. What I think sets Google apart from other companies in hiring is the priority they place on hiring talent with Googleyness and how Googleyness is a way to describe the culture of Google that their employees experience. When I take another look at that list of traits and the way the interns describe what Googleyness means to them, I see words like collaboration, curiosity, problem-solving, and passion. These are all traits and skills I hope we can instill in our kids through the work we do with them. Helping our students build a future for themselves starts with us in elementary. I believe these are foundational traits and skills that will help them have more control over their future and I hope you will join me in working to build more Googleyness into ADE! Be More Like Mattress Mack! What is your response when someone asks you why you got into education? 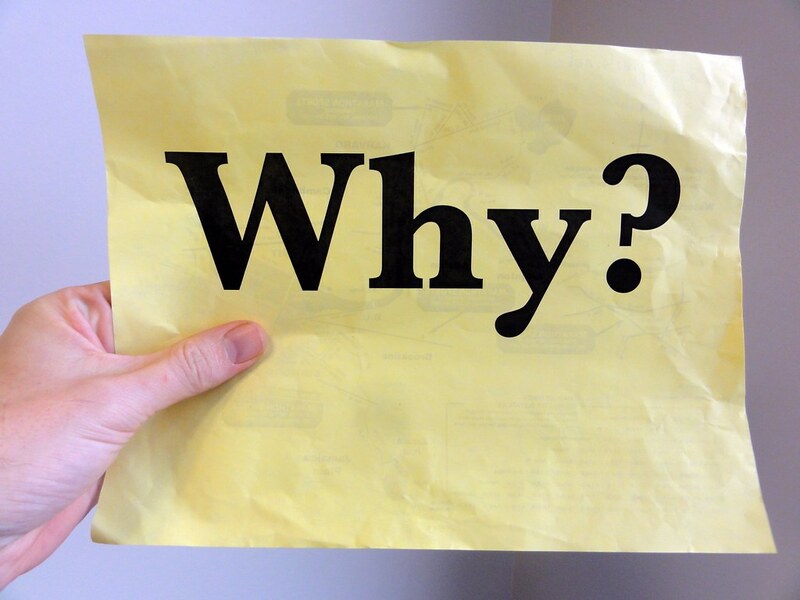 Serving others and changing the world for the better are the “whys” that drive me. Serving others sounds reasonable and relatable to others, especially those who are outside of our field. However, the second “why” – helping change the world for the better – gets a different response: a coy smile, a “yeah, right” look, or some sort of patronizing response. But it’s true – I want to change the world and make it a better place. I believe that education is the key to that change. The values we lift up show our kids the importance of integrity, responsibility and citizenship and what that looks like when we apply what we’ve learned to create something new or solve a problem that exists. Good teachers help students learn facts so they can do well on tests and progress in school. Great teachers empower students to use knowledge to change the world. Whitaker, T., Zoul, J., & Casas, J. (2017). Start. Right. Now. : teach ande lead for excellence. San Diego: Dave Burgess Consulting, Inc. The learning experiences we create for kids should go beyond just covering a curriculum or making sure we “hit” standards. Our work needs to be rooted in the bigger goal of creating students who are empowered to use knowledge to make the world better. When we talk about “exercising the gap” between good and great, we are talking about pushing ourselves out of our comfort zone and escape from “that’s the way we’ve always done it”. Doing so gets us and our students closer to a more personalized learning experience and to a point where we are developing learner agency. It’s shocking to me how people dismiss the importance of education to our future. It’s even more shocking when educators misplace this importance. Let’s continue to commit ourselves to developing an understanding of the importance of the work we do and how it connects to the success our students will experience in their future. Each one of us is the key to developing a future we hope to see. 29 – Staff Meeting, 3:45 – One2One Pioneers to present. Most early childhood and elementary school teachers speak passionately about building community in the beginning of the year, but what kind of community we build is the bigger question. I continue to find A Mindset for Learning a thought-provoking and informative read. The authors connect research-based information and ask their readers to think deeply by what it truly means to build a classroom community of resilient, joyful learners. It’s no secret that the teacher is the number one driving force in the development of the classroom community. Teachers set the tone through what they celebrate, what they ignore, their body language, and the words they choose when working with their learners. So how are things going in your classroom community? Before you answer, take a look at another quote from A Mindset for Learning and ask yourself if the statement a) reflects your belief about building a classroom community and b) reflects what is currently happening in your classroom community. [A] child’s self-control, tenacity, and persistence are influenced first by their environment and the reliability and consistency of their caregivers. If we want to build a community of persistence, joy resilience, flexibility, and empathy, we must first be all of those things, and be reliable in those things. As you reflect, also consider the fact that kids are extremely intuitive and tuned-in to their teachers. They pick up on when we are energized and when we are flat. In a 1993 study, researchers showed students, who did not know the teachers, 30-second silent video clips of 13 graduate teaching fellows while they were teaching and had the students rate the teachers on 13 variables like “accepting”, “active”, and “confident”. The researchers then compared the ratings by the same students with the end of the semester course evaluations from the same students and found a 0.76 correlation (0.60 is considered “very strong”). Amazing — Students can “slice” their perception of us in 30 seconds and just off of our body language. This study underscores the importance of modeling the thinking, the behaviors, and the values we must reliably model if we are to instill the same within our students. We are reaching the midway point of the first six weeks of school. Take time now to reflect on the progress you have made with your students. Reflect on how much of the community reflects your students interests and values vs. your own. Where is the balance tipping? Towards you or towards your students? Take into account the profound value and impact a sense of hope, belongingness, and engagement have our each of our students. 22 — School Picture Day! 26 – MakerSpace Grand Opening! 17-20 — Fall Conference Week; Late Night is Weds, Oct 19. How do you view the day that lies before you? Do you see the celebrations, the growth and the joy of what’s to come? Have you already determined the challenges are almost impossible to overcome? The self-talk we have before the day begins will manifest itself into the day we talk about later. If we assume and expect “bad things” will happen, chances are we’ll be talking about our “bad day”. I don’t believe for a minute that we can eliminate tough days from our lives; that’s just not a realistic expectation. However, I do believe we have more control than we think over the way our days play out. Like other staff members, I am currently reading “A Mindset for Learning: Teaching the Traits of Joyful, Independent Growth” by Kristine Mraz and Christine Hertz (2015), and this is one of the many points they make in the book. And their message is that it starts with us. We set the tone that drives the behaviors that gets us the results we desire. We have to see the possibilities of each day. The change has to happen within us before it happens through us. So as you start each day, imagine what you will celebrate. Imagine the joy you will help create with kids. Imagine the hope you will instill. We can make a difference but it’s up to us to see it in our mind before we can see it with our eyes. Click here for the Elementary Assessment Calendar for 2016-2017. The few weeks just before the new school year is my favorite time of year and for a host of reasons. Summer is still in full swing but football is getting started. Vegetables taste better because they were grown in season rather than in a hydroponic hothouse. But the biggest reason why this is my favorite time of year is because it’s when things start to come together for me on a professional level. Like most educators, I spend my time off reflecting on the work we have done in the service of others and think about what we can do to improve. But as a principal entering year 3, this feeling of everything coming together has been different in a way. The past few weeks I have been thinking a lot about my message – What am I going to share with staff during the first part of the new school year that will hopefully energize and inspire us to continue to make a difference. This year, it just wasn’t coming to me like it had in the past. Usually, what I hope to focus on just comes to me through a variety of sources – Reading articles or books, conversations with my wife, or while I’m out on a run. But this time, the well of ideas seemed dry. It feels like I’ve had writer’s block for several weeks. This had me panicking. What was wrong? Had I lost my passion? No – I still feel the same way I had, perhaps even more emboldened by my convictions and my beliefs about the possibilities we can create for kids. So what was it with me? This week, I found the answer. Tuesday night, I had the privilege to attend the inaugural TEDxHilliard event and heard several amazing stories related to one’s drive to achieve goals and dreams — Amazing stories of overcoming adversity, empowering others, and finding purpose that filled the evening. Then, the next morning, I had the opportunity to attend the Ohio Innovative Learning Environments Conference in Hilliard and heard Jon Gordon speak about leading through love, kindness, and service to others. The answer was that I had been focusing on the wrong thing. I was looking for the wrong answer to the right purpose. The “right purpose” in my opinion is being a servant leader to those within my “tribe” – My staff, my students, and the families that make up our community. I want to empower others to make a difference and to remove the roadblocks on the path of progress. Deep down the answers to what my message should be were always there. The answer is “love” (Isn’t it always?). They may seem simple, but these are the words that can inspire, the ones that empower, and the ones that build relationships. I am so thankful for the folks who had the bravery and desire to share their story. I am re-energized and ready to take on the best school year yet! Guest Post: What if schools were more like Google? Google has become both an extremely well-known noun and widely-utilized verb. At least once a day, I find myself “googling it” or encouraging someone else to do so. It is no secret that Google, as a company, has not only achieved sky-high financial profits, but also is one of the most innovative and creative businesses in the world. What you may not know, however, is that year after year, Google is also listed by sources such as Forbes magazine, as the best place to work. Yes, a business as successful as this is bound to yield high pay grades for their employees, but that it is not unique to Google, or why it is considered the best place to work. It is considered the best place to work, because of the type of physical, social and emotional environment that it creates for its employees. So, I pose the question, what if our school was more like Google, and it was the best place to work and learn? How to can we use Google’s ideals to inspire us to make this a reality? According to an article by Mark C. Crowley, the physical environment of Google is one that inspires the employees to want to be there each day. If you haven’t seen pictures or videos of what the Google corporate office in California looks like, I strongly encourage you to “Google it”. They have a blend of traditional and unconventional work spaces, slides in place of some staircases, artistic inspirations throughout the building, relaxation rooms, exercise facilities, and on-site amenities that rival that of a high-quality hotel. The physical environment is warm, upbeat, innovative and welcoming. What if we provided an environment with some similarities to this at schools? Where students had choices about the type of space in which they work best; were provided with everything they need to feel comfortable, safe, and taken care of; felt trusted that they know what is best for them; and had choices of a combination of different spaces throughout the day. The emotional and social environment that Google provides for it’s employees is founded in trust, collaboration and inspiring them to do something that may just change the world. As stated in International Business Times, Google co-founder Larry Page said, “My job as a leader is to make sure everybody in the company has great opportunities, and that they feel they’re having a meaningful impact and are contributing to the good of society. As a world, we’re doing a better job of that. My goal is for Google to lead, not follow.” Google leaders have also been noted in this article as saying that they value their employees making a contribution to society over making money. Because of this belief system, they are achieving both exceedingly well. These are the exact ideals that we should strive for as teachers. What if we value teaching students to make contributions to society over doing well on “the tests” and meeting every single standard? Another relevant component to Google’s successful work environment that I found in Mark C. Crowley’s article, was Google’s 20/80 policy. Regardless of the position an employee holds within the company, from intern to CEO, employees spend 80 percent of their time working on current company projects and the other 20 percent working on any project that they choose. To me, this sounds like a very reasonable model that we could imitate in schools. We could use 80 percent of time to guide students in learning the basic skills, knowledge and facts that we value, but give them the freedom and trust to pursue their own learning and projects the other 20 percent of the time. During this 20 percent, Google employees breed innovation and discoveries that would never be made if not given the time, freedom, trust and choice to do so. I would love to see students being given the same opportunity on a weekly basis. Please submit your proposal soon! Teach your passion! Finish Strong — What happens when things don’t go as planned? Do you punt or try to make it even better than expected? 8:00 — Building Improvement Team Meeting – – This is a proposed change from Tuesday due to TGRG Data Team meeting. Let me know if you can’t make it. 12:30 — Ohio Historical Society program for 2nd Grade students. Friday, Dec 5 — Herb to visit Wickliffe Elementary — I need to reschedule BAC for Tuesday, Dec 9 at 8am. Please let me know if you cannot make this. This week, we worked to define the key principles and beliefs we have as a learning community. The beliefs that we identified as a team reflected the positive focus we put on our students and the work we do with them. Our next step will be to connect these principles to statements that are easily remembered that will help us connect to our beliefs as a learning community. As we discussed these principles, something amazing happened. One of the members of the team suggested that in order for students to embrace the expectations we will have for them, they should have the opportunity to provide input as to what these grounding beliefs that reflect Alton Darby Elementary are. We came to the conclusion that we needed to organize a whole-school meeting where we could give students the opportunity to provide input into the beliefs that reflect our learning community. I am excited that we are going to be giving students this opportunity to have a voice in a process that will eventually impact their learning community. This is an important step towards providing students with multiple opportunities to have a voice and to have a choice in their learning. Teachers who do not have duties on B-Day… I wouldn’t care if you wanted help your teammates by watching their class (one teammate at a time) and letting them have a break. 5th and some 4th graders in in-between acts may need to stay until 12:20. Waiver Day – More information to come!